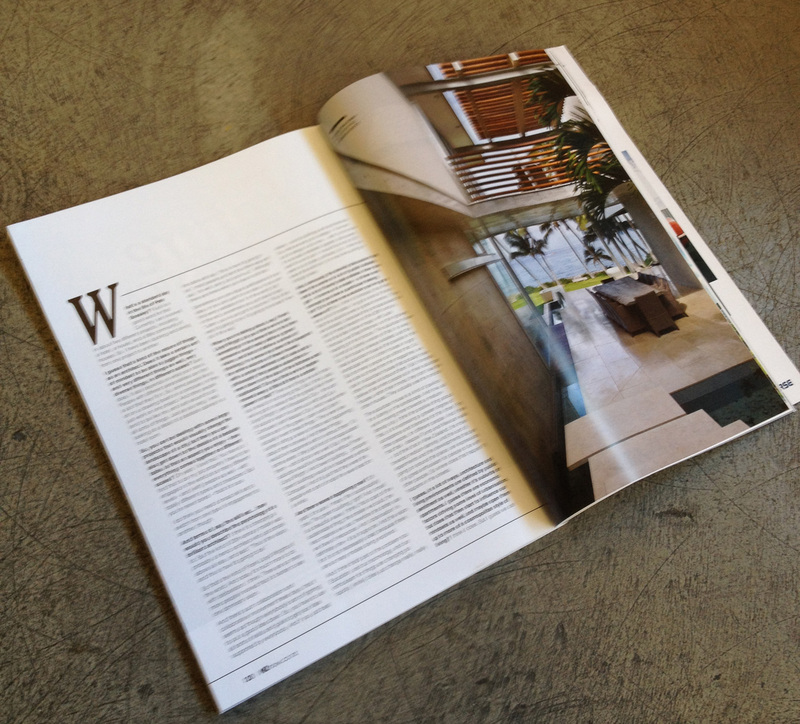 Our recent project ‘White House’ in Takapuna featured on Design Milk, an online magazine. You can read the article here. 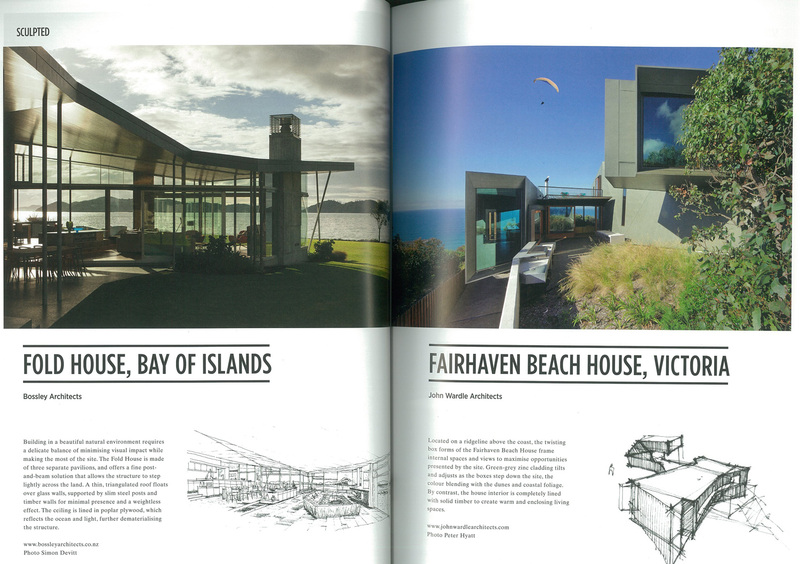 In an extensive interview ‘Future by design‘ in the May issue of M2 magazine, Pete talks about the importance of architecture, how it is produced, medium density housing and urban intensification in Auckland, the exorbitant cost of building materials and the need for designers to maintain a radical viewpoint in the face of a world that favours conservatism. The Voyager Maritime Museum is featured in Architecture Now’s article about plastic in architecture; Editor’s choice: plastic. There’s lots of projects utilising plastic in interesting and creative ways, have a read at the link below…. 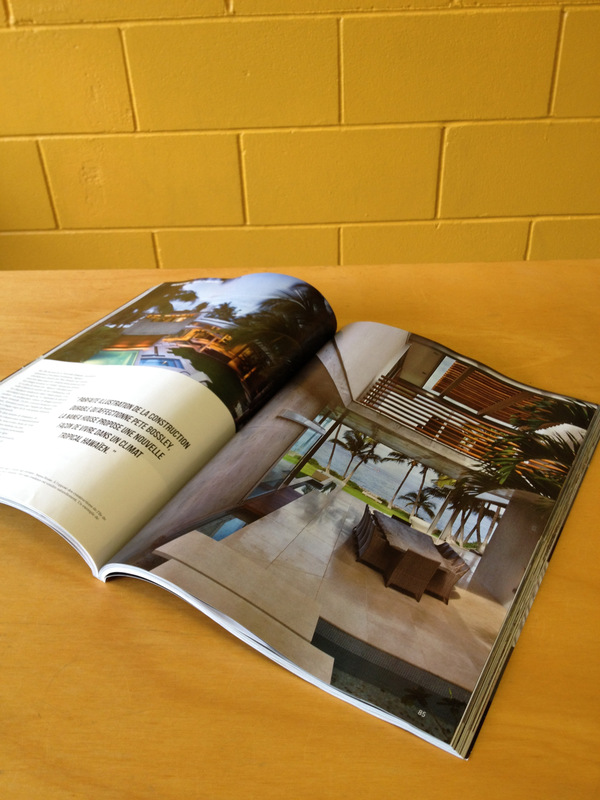 We are pleased to be sharing a spread with our friends John Wardle Architects in the Design Guide’s feature on sculptural architecture. We are delighted to be featured in the recently published summer issue of the French magazine Artravel.